Offering Online Insurance Quotes Now! Allstate Insurance serves customers in Lawrence, Topeka, Olathe and surrounding areas of Kansas City. We were selected by Allstate to open a new agency inside the Lawrence Kia automotive dealership in 2015. And with this relationship, we can now offer online insurance quotes to our visitors. Ron, Louise & the entire staff are committed to providing excellent service. We offer competitive insurance quotes on auto, homeowners and all different types of insurance products and programs. The partnership between Allstate and Lawrence Kia has proven to save customers money when buying a new or used car at Lawrence Kia. Allstate agents are conveniently available during Sales hours; Mon.-Thur. 9AM to 8PM, Fri-Sat. 9AM to 6PM. To get started, you can submit an online insurance quote or call 800-942-1747 to make an appointment with one of our Allstate Insurance Agents. Why didn’t insurance companies think of partnering with automotive dealerships before today? It seems like an obvious fit. Many car buyers ask for quotes from their current automotive insurance providers before buying a car. It is unfortunate when customers can’t purchase the vehicle they want because their auto insurance rates are too high for that vehicle. Bring in the Allstate Agents! With little to no effort on your part, our Allstate Insurance Agents can quote you a competitive rate and save you time. Go visit our Allstate Insurance Agency site and look through the customer reviews. One of our favorites is from Janet C. She had high auto insurance rates with another insurance company and our Allstate Insurance Agent was not only able to reduce her auto insurance rates, but also her renter’s insurance rates as well. Not only can you get in a new or used car, but you can also save money in your monthly budget, potentially getting you into a nicer new or used car. Lawrence Kia is open until 8PM Monday-Thursday and until 6 on Fridays, you can drop off your payments. Without interfering with your schedule, you can stop by after work and meet with one of our Allstate Insurance Representatives to quote auto or homeowners insurance. 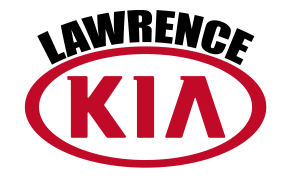 Come on into Lawrence Kia and shop for a new or used car plus save money on your car insurance or homeowners insurance. You can get an insurance quote above or call 800-942-1747 to schedule an appointment.